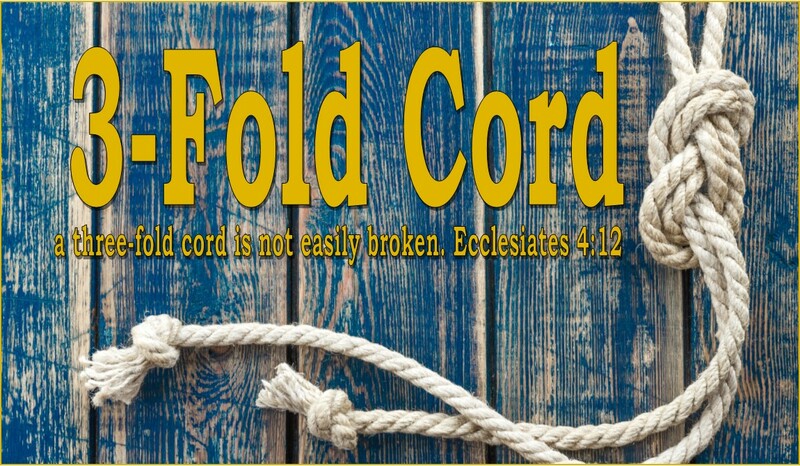 3-Fold Cord: Who/What are you Bound by? Who/What are you Bound by? In Acts 20:22 the Apostle Paul talks about going to “Jerusalem bound by the Holy Spirit.” What does in mean to be bound by the Holy Spirit? In the 16th chapter of Acts where, in the power of the Holy Ghost, Paul, Silas, Barnabas, Mark, John, and Peter, learned a great plan in their lives, and that plan was that there had to be another mightier than them, holding them, guiding them, and even choosing their words for them! These men had to be so divinely guided by the Holy Spirit that they would know exactly what to do and when to do it. What does in mean to be guided by the Holy Spirit? I used to ask myself: “Didn’t Asia need the gospel of Jesus Christ too?” Of course the answer is- "Certainly!" However, the Holy Spirit knows when and where the gospel needs to be preached. The Holy Spirit guides and protects the servants and followers of the Lord Jesus Christ....It hears the prayers of the righteous. Ah, that was the place where they wanted help, that was the place where there was a cry for God…That was the place they were to go and preach. Oh, what a wonderful thing it is to be bound by the Holy Spirit! My friends there is such a thing as people thinking they are full and rich, and knowing not that they are hungry, poor, and blind. The worst thing that can happen to a Child of God is that they become satisfied; it is an awful position to find oneself. *Are you bound, and being guided by the Holy Spirit? *Has the Holy Spirit ever instructed you to go/not go somewhere? *Have you ever owned a pair of fur-lined handcuffs or other restraint devices?